We are always on the look out for a good bread recipe, aren’t we? Well, I can now finally share this fantastic bread recipe with you, a recipe I have been making over this last year on a regular basis without fail. I never went back to other recipes after this one! 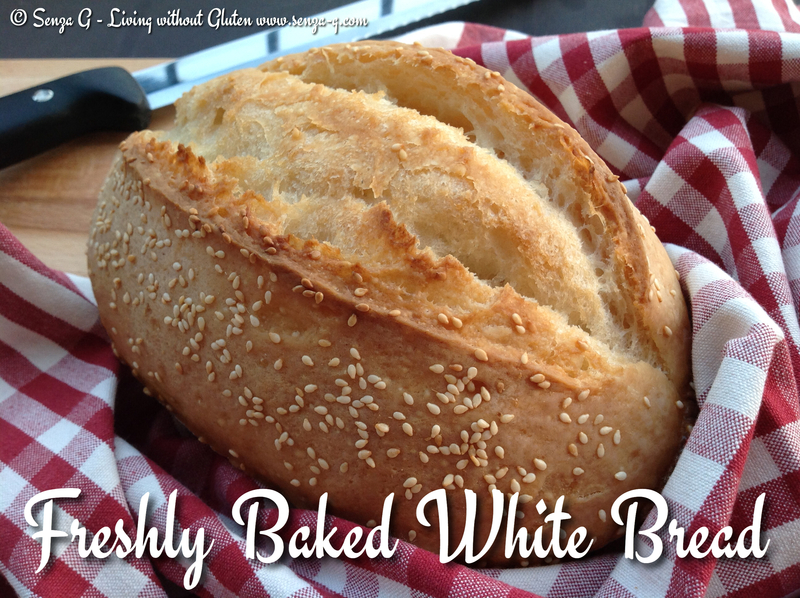 This bread is crusty and so so light … just like real bread! It is also fast to make as there is no need for any starter. Starters really do improve on the taste but sometimes we would be in a hurry so this recipe sure fits the bill! It requires three hours in all to make, plus another half an hour approximately to bake. Now that I got to know that Nutri Free is available in Malta, together with the other two flours, Farmo and Dr Schar, you too will be able to enjoy this wonderful tasty bread! I have used this bread recipe even for Pull-Apart Bread and also Flavored Bread with Cherry Tomatoes, Black Olives and Pancetta! All come delicious. Below is the basic recipe. Please weigh accurately as it is very important, therefore use digital scales. If you still do not own one, then now is the right time to invest in one if you are baking gluten free. I have used fresh yeast as somehow bread does come better with fresh yeast ( they are little cubes). If you do not have any fresh yeast available, use dried yeast. Although, I must say that I have never tried it with dried yeast. On this link is a yeast converter which is very handy. The amount below is for a small loaf or for 6 to 7 rolls. But you can easily double the ingredients. Crumble the yeast in the water and add the sugar. Dissolve the yeast with your fingers. Set aside. Put the flours in a large mixing bowl and add the yeast and water. Using a hand held mixer on slow speed, or even your hand if you do not mind getting it messy as the batter is quite sticky, combine the flours with the water and yeast. Increase the speed and keep beating. Add the olive oil, whilst still beating and when that is combined, add the salt. Keep mixing for another minute. Using a spatula, scrape all the ‘dough’ in the middle of the bowl. Cover the bowl with a clean dish cloth and place in the oven, with just the light on, (if you have an electric oven to help with the proofing). If however, you do not have an electric oven, leave covered in a warm place. Proofing will take two hours. After two hours, you will see that the dough has really risen. Sprinkle some flour on the work top and using a pastry scraper, scrape the dough onto the worktop. Do not worry if all of a sudden the dough will shrink again. That is quite normal. Using just the scraper, ‘work’ the dough, by cutting into it, lifting and turning till it sort of comes together and form it into either a loaf or else cut out equal sized pieces. If you can use just the scraper, you will get a better result than if you use your hands. This dough does not like being handled. Try to form the rolls or buns if possible with just the scraper, pushing the dough around. Lift each bun with the scraper and place on a baking paper lined sheet. Do the same with the remaining dough. Put a tablespoon of olive oil in a small cup and add just a few drops of water. 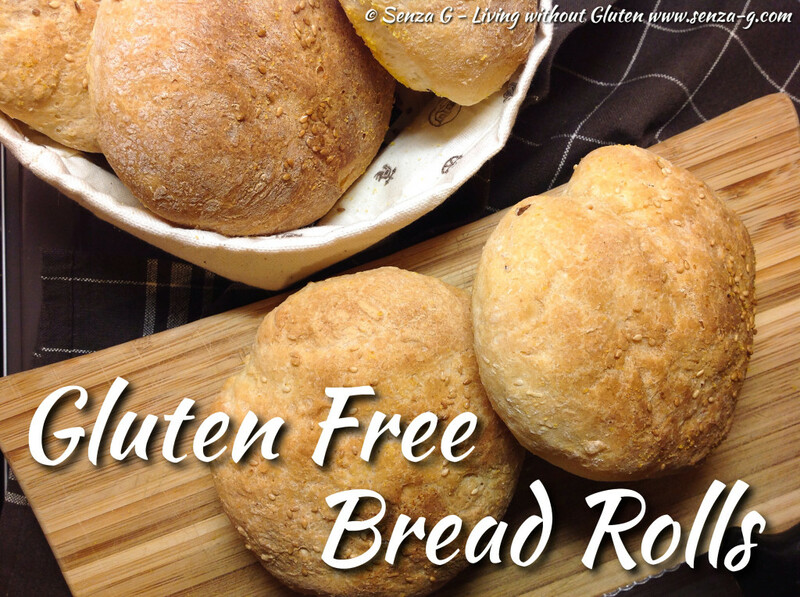 Mix well and using a pastry brush, brush the tops of the bread rolls or loaf with this mix. Sprinkle with sesame seeds or poppy seeds if desired. Preheat the oven to 220C. Put a pan filled with water at the bottom of the oven. When the oven reaches that temperature, place the loaf or rolls in the oven. After ten minutes, take out the pan with water carefully from the oven and lower the temperature to 190C. Bread will start to rise again in the oven. It will be done when you can see it turn golden. Check if the bottom is cooked as well, if not leave for a bit more, covering the top with foil if it browns too much. This bread is lovely. I have even eaten it the next day without the need to warm it up or toast it. I hope you will like it as much as I do! I am sorry but this post and recipe is for the Maltese Residents since the blends are found in shops there.